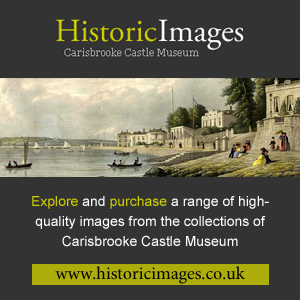 Please note: Carisbrooke Castle is managed by English Heritage, separately from Carisbrooke Castle Museum, which is managed by an independent Charitable Trust. Visit the English Heritage Carisbrooke Castle website for Castle contact details, opening times and admission information. The Carisbrooke Castle site (PO30 1XY) is located 1.25 miles from Newport, the county town of the Isle of Wight. Driving: Parking for approx. 100 cars situated 50-100 metres from site. This car park may get full on event days or peak viewing times. Parking costs £2 per car, refundable on admission to the castle. On Foot: Carisbrooke Castle is approximately 10mins walk from Carisbrooke High Street (via either Castle Lane or Spring Lane then Castle Hill). Most of the route does not have a footpath and includes some steep sections. By Bus: Buses stopping in Carisbrooke High Street include the numbers 7, 12, 38 and 27 (summer only). Alternatively the number 6 stops at the top of Cedar Hill, approx. 7mins walk from the Castle via Castle Hill. See the Southern Vectis website for further information.